Super Excited to take the kids to Build a Bear to snag a FREE Halloween treat. 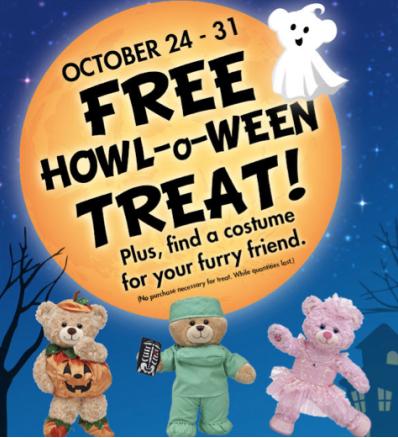 From now, through Halloween, you can stop by Build a Bear and SCORE! Keep in mind that there is no purchase necessary to SCORE this FREEBIE. Woohoo!!!!!!!!! !